I AM A SALES DRIVEN REAL ESTATE BROKER THAT USES STRATEGY AND PRECISION TO SELL HOMES, CONSTANTLY STRIVING TO GET THE BEST PRICES FOR MY CLIENTS AND MAKE THEIR EXPERIENCE STRESS FREE. I TAKE GREAT PRIDE IN TAKING AN HONEST AND OPEN APPROACH TO SELLING PROPERTIES THROUGHOUT THE AREA. "We loved working with Aron! Friendly, knowledgeable, an experienced professional. Aron guided us to getting our first home -- with his expertise, we won with the second highest bid! Through the entire process, we always felt he had our best interests in mind, and our new home was already worth at least 10% more than our winning bid before we'd moved in. Between having a contractor check the place out for us and even helping getting started removing the old carpets, we couldn't be happier with Aron! 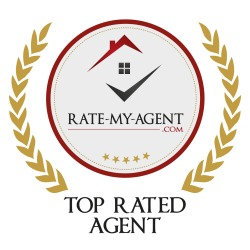 Highly recommend, and when the time comes, we'll be calling him to help sell our home and find our next one!" It was a great experience working with Aron. He offered us excellent advice regarding the sale of our rental property. We felt the process was extremely well planned and that all the details were presented in an honest and professional manner. We closed above ask, with multiple offers after a very short time on the market. We had a great experience buying our first home with Aron. He was very honest and attentive to our needs. We would highly recommend him! Very personal service! Highly recommend.